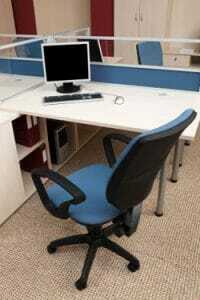 Do you need an office furniture rental company for your business in the Houston area? Turn to Wells & Kimich, a company that has served the area since 1982. We have the resources to handle projects of any size, from furnishing a waiting room to supplying an entire floor with the necessary furniture to run your business. Wells & Kimich can even supply furnishings for medical offices, such as nurses’ stations, reception desks, exam tables, and administrative offices. Additionally, if your needs should change, all of our rental options are easily returnable, as we will go to your office space to disassemble the furniture and take it away ourselves. To learn more about our extensive selection of office furniture rental options that we offer to businesses in the Houston area, contact Wells & Kimich today. Alternatively, feel free to stop in at our 6,500-square-foot showroom to see all of our furnishings in person.